Although not renowned for his poetry, Joyce’s work in this area is accomplished. 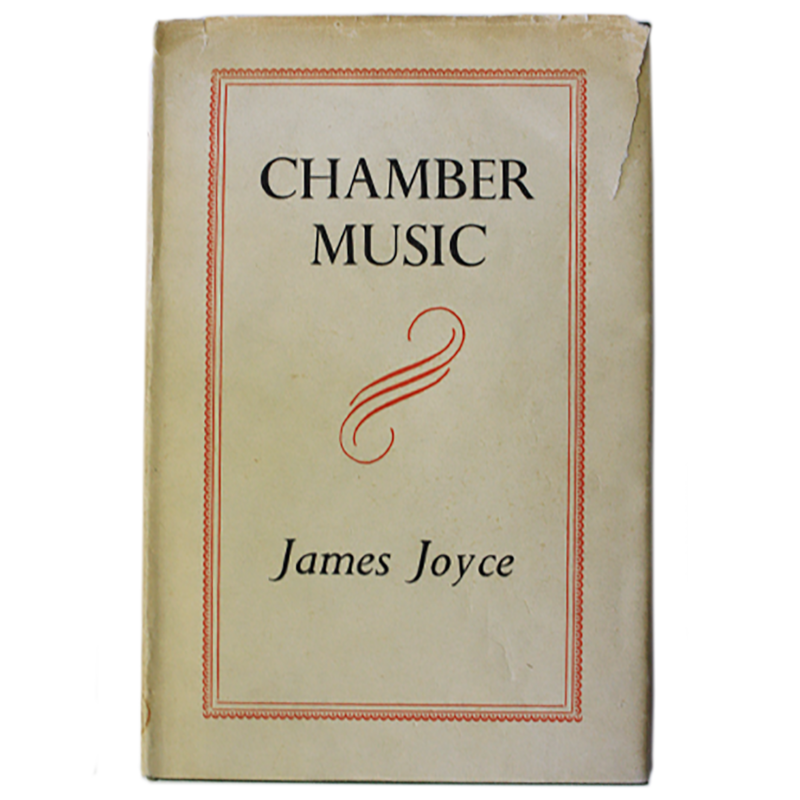 Chamber Music is a collection of thirty-six poems, all accessible to the Joycean novice. Chamber Music is essentially a collection of love poems written in different styles, composed and revised between 1901 and 1906. Elkin Mathews of London published the first edition in 1907, the same year he refused Joyce’s manuscript for Dubliners. In 1927 Joyce published another book of poetry, Pomes Penyeach with Sylvia Beach’s Shakespeare and Company Press. This short collection of 13 poems is the only other title of Joyce’s that Beach published. Joyce wrote many other poems such as ‘Gas From a Burner’ and ‘The Holy Office’, both polemical attacks on Irish society. Among his other renowned poetical works is ‘Ecce Puer’, a poem dealing with the death of his father John Stanislaus Joyce and the birth of his grandson, Stephen Joyce. A good selection of his poetry can be found in The Essential James Joyce, notes by Harry Levin, 1994. See also James Joyce’s Poems and Shorter Writings, edited by Richard Ellmann and published by Faber and Faber, 1991. Joyce's Works, Reader's Guide. permalink.